Enrique Sueiro (Pamplona, Spain, 1968), PhD, is Advisor in Communication, Executive Manager Corporate Communication & Management Program at IE Business School, Board Member of Asociación de Directivos de Comunicación (Dircom), a professional association of more than 900 corporate communication managers and professionals in companies, institutions and consulting gropus in Spain and CEO of TopTen Management Spain. He previously served as Director of Internal Communication and Director of Scientific Communication at Universidad de Navarra (Spain). He received the 2013 Speaker Award by Manager Fórum. He also served as Director of Communication of Centro de Investigación Médica Aplicada (CIMA, Center for Applied Medical Research), a center for biomedical research, then just established at that campus and focused on Hepatology, Cardiovascular Sciences, Neurosciences and Oncology. Dr. Sueiro was selected as Head of Communication of Centro de Investigación Biomédica en Red (CIBER) de Enfermedades Respiratorias, a multidisciplinary and multiinstitutional research network in respiratory diseases supported by the National Institute of Health Carlos III (Spanish Government). 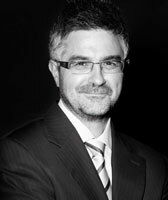 Enrique Sueiro is a frequent contributor with articles about communication published in El País and other Spanish newspapers. He created the new concept “Communicagement”, a kind of practical merger between Communication and Management in organizations. He is the author of several books: Saber comunicar saber (ACCI, 2016), Comunicar o no ser (Rasche, 2014) and, previously, Comunicación y ciencia médica, edited by Consejo Superior de Investigaciones Científicas (CSIC), the Spanish National Research Council, which is the largest public institution dedicated to research in Spain and the third largest in Europe, belonging to the Spanish Government. In collaboration with other experts, he is an author of Comunicación y salud (Dextra, 2017), Claves del Management (LID, 2013), Pensadores por el mundo (Interban, 2013), Consultores imprescindibles para ganar en competitividad (Ges-Dirección), 2014, El Management del siglo XXI (BrandSmith, 2012) y Comunicación de la salud (Fragua, 2011). In academia Enrique Sueiro is invited to give speeches and sessions in different fields and institutions, like Universidad Complutense (Madrid), Universitat Internacional de Catalunya (Barcelona), Universidad Internacional Menéndez Pelayo (Santander) and Universidad Rey Juan Carlos (Madrid) and some Latin American institutions in different countries. At Universidad de Navarra (Pamplona) he was in charge of training professors and researchers in communication, as part of the PhD Programs in Science and masters program on Chemistry, Biopharmacy, Bioethics, Nutrition, etc. He was the Director of the Seminario de Comunicación de la Ciencia, which aims to train young scientists in communication skills during undergraduate studies. In a number of visits to the US, he met CEO, managers and other professionals in Media (The New York Times, The Wall Street Journal, The Washington Post, Chicago Tribune), universities (Harvard, Yale, Princeton, MIT, Johns Hopkins, Wisconsin), research centers (Memorial Sloan-Kettering Cancer Center, Mount Sinai Medical Center, Columbia University Medical Center, Dana-Farber Cancer Institute, Whitehead Institute), scientific societies (Massachusetts Society for Medical Research and Massachusetts Medical Society) and other institutions, including NASA, the International Monetary Fund and the National Cancer Institute.